One of the most enjoyable elements of studying for a PhD is the fact that it presents many opportunities to travel. 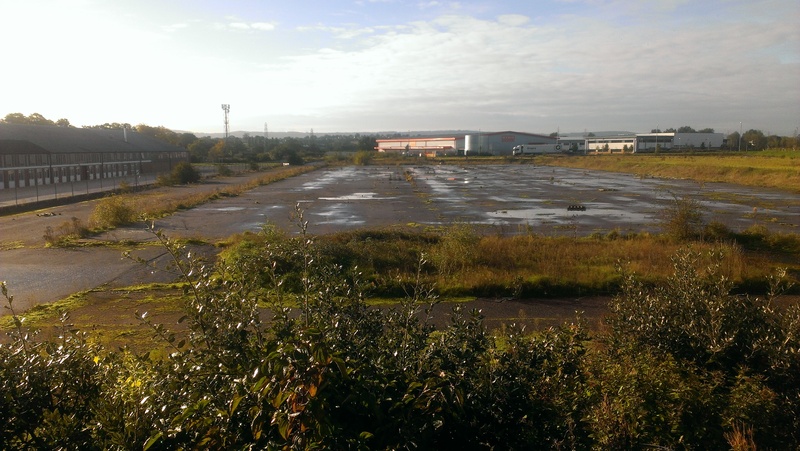 Admittedly, these trips can often be less than glamorous; a stay in a dodgy hotel in Hull and getting lost in the wastelands of Taunton have not really been high points of my academic career so far. A case in point: ‘adventures’ in Taunton! However, since I started work on my thesis two years ago, I have been lucky enough to visit several new corners of the UK to work in archives and give papers at universities; I even managed to find a good excuse to visit Venice for a conference last year. 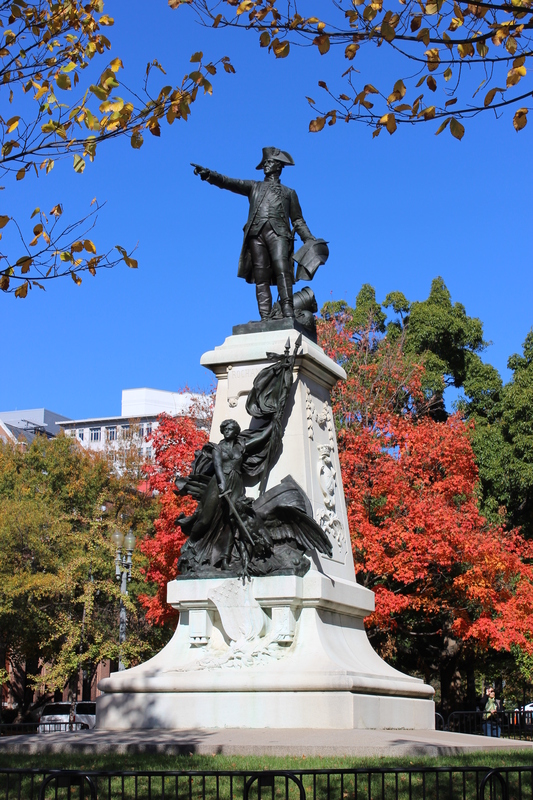 None of these adventures, however, were quite as appealing as the prospect of a research trip to archives in New York City and Washington D.C. I work on opera singers of the nineteenth century and, over the course of my research, it quickly became clear that a significant amount of relevant sources were held in American collections. After compiling a list of these sources that numbered into the hundreds, I applied for funding from the Royal Historical Society and the Royal Musical Association in order to make a research trip possible. I was lucky enough to be successful on both counts and so, armed with my list of sources, I boarded a plane for New York City last month. This was my first ever trip to the US and I was very much looking forward to experiencing research life stateside. My plan was to spend two weeks utilising various collections within three institutions: the New York Public Library, the Morgan Library in New York and the Folger Shakespeare Library in Washington D.C.. My work started several weeks before I left the UK, as a painstaking amount of organisation was needed to arrange access to so many different sources. 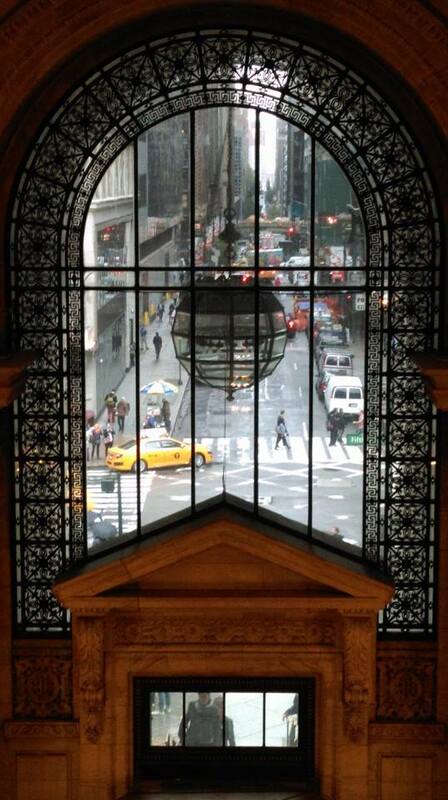 Within the New York Public Library alone I needed to view material from ten different collections, each of which has its own librarian and several of which are located within different buildings across New York. 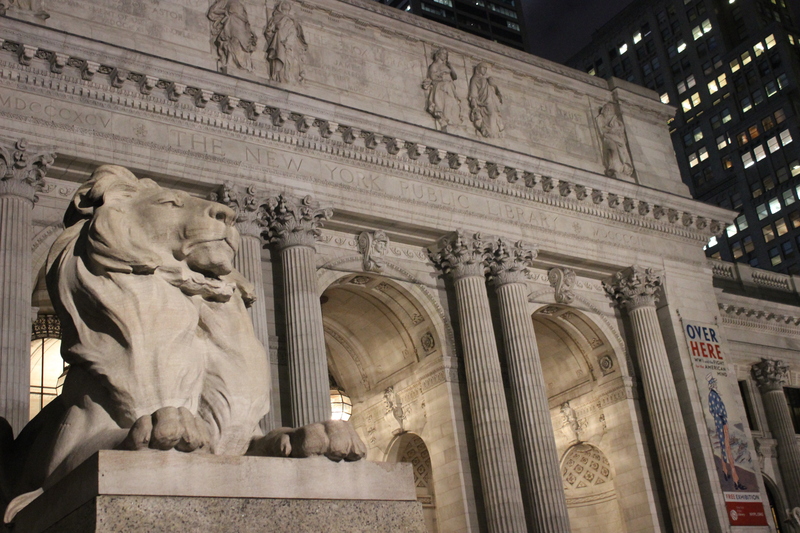 Because of this, I was a little apprehensive when I turned up at New York Public Library on my first morning in the city. I had expected the library to be similar to the British Library, which is where I do most of my research in the UK. The feel, however, was quite different. 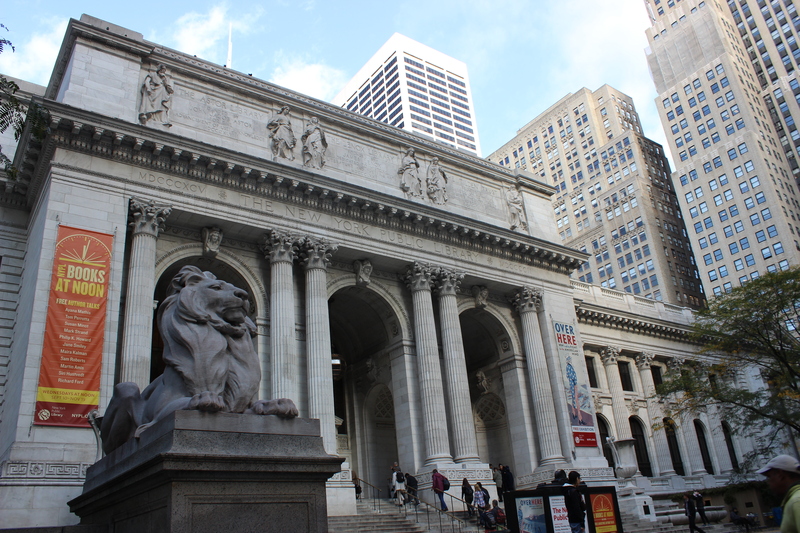 To start with, the sheer beauty of the New York Public library stands in stark contrast to the far more modern St. Pancras site. 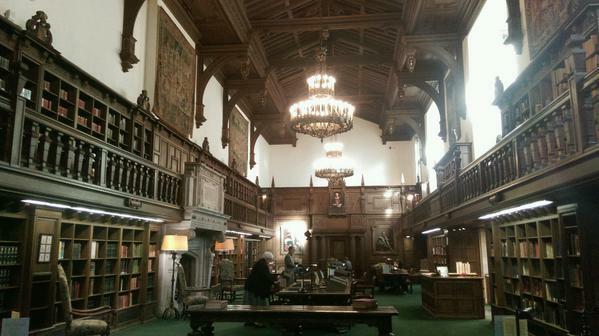 Despite this grandeur, though, the feel of the library is much more informal. Indeed, it felt more like a local library than a central library; crowds of tourists wandered around taking photos, community groups and teenagers were using the reading rooms and there was always an interesting event going on in the foyer. I spent a week at the library and, thanks to many helpful librarians, managed to navigate my way around its various divisions. I found far more material than I had anticipated, including very many prints and (literally!) thousands of newspaper articles about British opera singers I am working on. These newspaper articles, located on a database, proved a little bit of an issue as they were tricky and painstaking to save. I am still working through hundreds of PDFs that I saved to my laptop, but the material they contain is extremely rich. The sheer amount of newspaper sources has led me to re-evaluate my thoughts on the celebrity status of these singers, as they clearly had a far greater international profile than I had previously imagined. 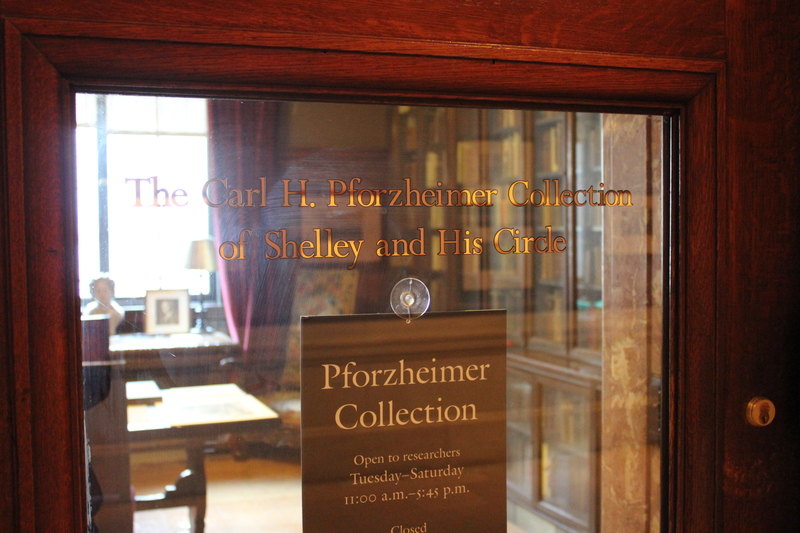 I especially enjoyed my time in the Pforzheimer Collection, which contains archives relating to Percy Bysshe Shelley and his circle. This beautiful room looks like a Victorian gentleman’s study and I loved working at an antique desk, complete with a bust of Shelley to keep me company. As I worked in this area, accessible by appointment only, tourists took photos through a glass door. 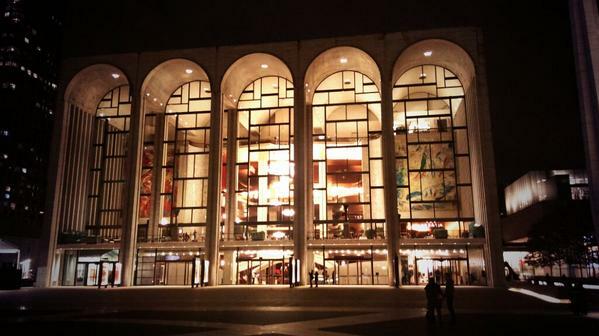 I also spent a day at the New York Public Library’s Performing Arts division, next to the Met. 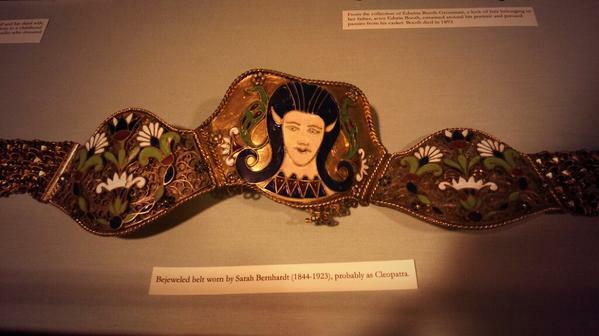 It was excellent to work so close to the opera house and I especially enjoyed the beautiful items that the library displays, in particular the belt that Sarah Bernhardt wore when she played Cleopatra. After a week in New York, I travelled to Washington D.C. to visit the Folger Shakespeare Library. I fell in love with Washington, which looked especially lovely with the famous fall colours out in force. A taxi to the Folger took me past several famous landmarks before stopping opposite the Capitol, where the library is very centrally located. 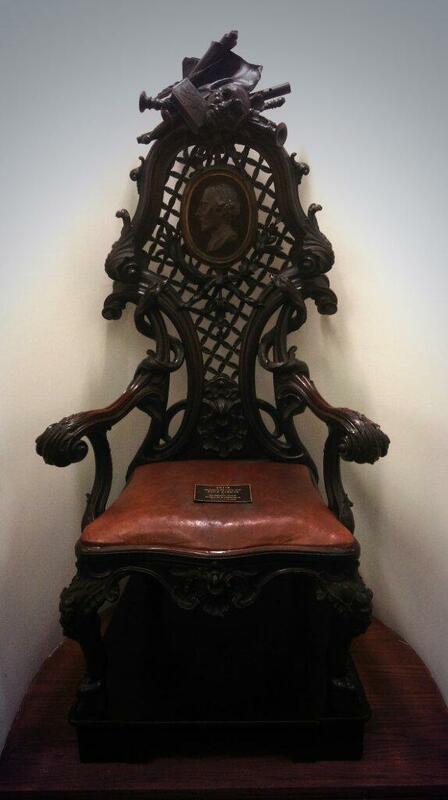 This library is also extremely beautiful, packed with fascinating portraits and other theatrical relics. Over a few days, I worked through several collections of important letters, pamphlets and playbills. 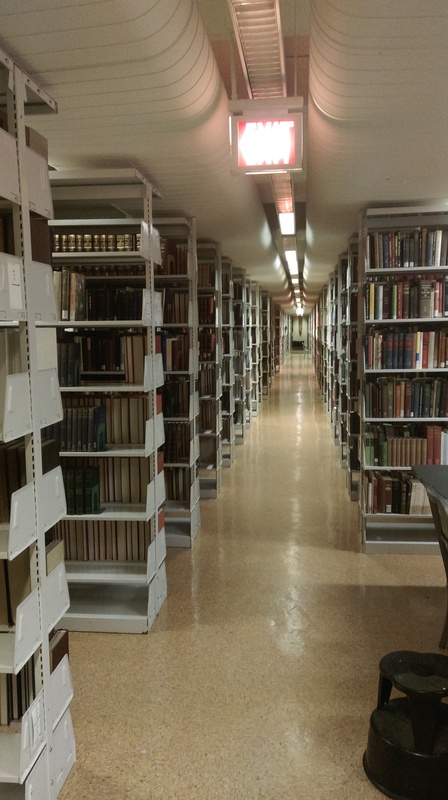 I especially enjoyed an expedition to the basement, hunting for a dusty old volume; bookcases stretch as far as the eye can see with a phenomenal amount of literature on Shakespeare and the stage. 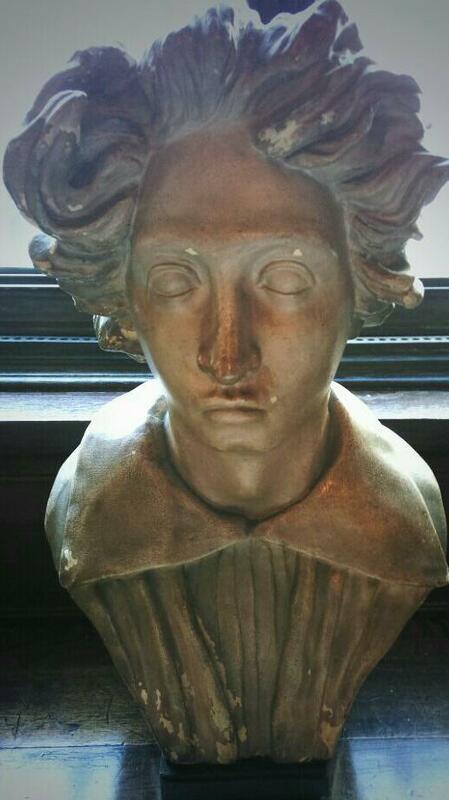 The material at the Folger is extremely rich and I certainly plan to return. 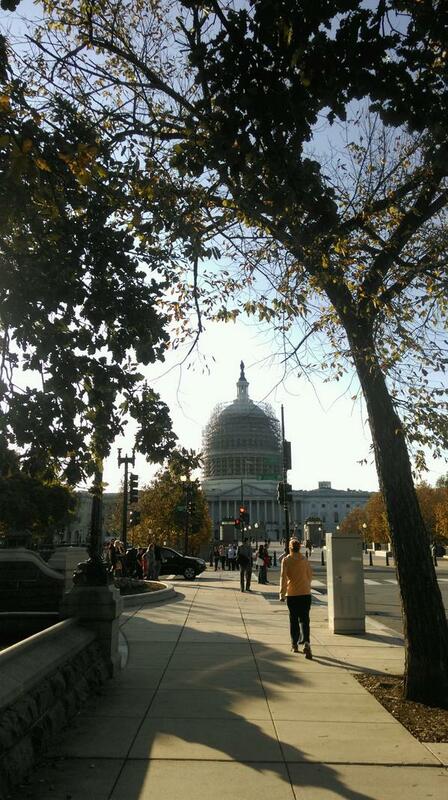 Beautiful fall colours in Washington D.C. 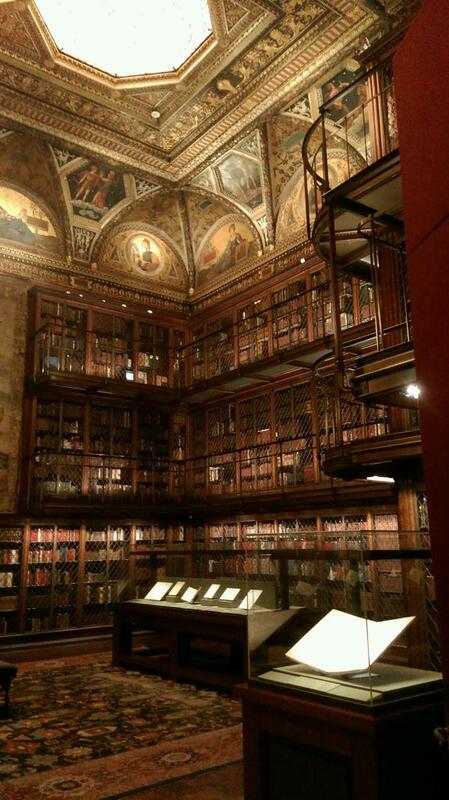 I headed back to New York for my final week, which I spent at the Morgan Library. The list of materials I had requested to see was so lengthy that I almost sent the librarian’s systems into meltdown, but the staff were extremely helpful and I managed to get through mountains of material over five days. These sources proved extremely rich; letters to and from key singers revealed much new information about their personalities and careers. Many of these letters form part of the extensive Gilbert and Sullivan collections held at the Morgan. Some were extremely touching, describing family tragedies and desperate situations. It was peculiar to spend hours engrossed in these letters, written in nineteenth-century London, before walking out onto bustling Madison Avenue. A favourite discovery was an album compiled by one of Queen Victoria’s servants, containing letters to and from the Queen as well as notes from dozens of key figures of the age; these included politicians, authors, artists and society figures. The album even contained a scrap of the Queen’s wedding dress and some of her artwork. 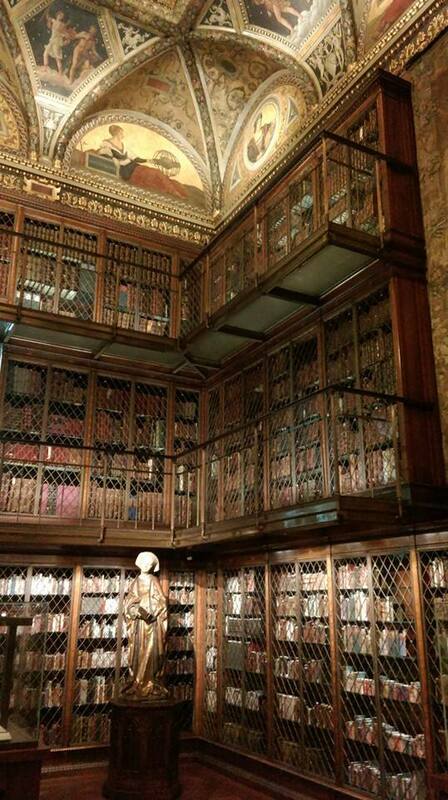 After spending a week in the Morgan’s reading room, I spent some time exploring the rest of the library and Museum. The building is stunning with a library that has to be the most beautiful I’ve ever seen, rammed full of rare books and fascinating artworks. My trip to the US was extremely fruitful; over a month after returning, I am still sorting through all of the material that I located! Many of these sources will feature prominently throughout my thesis, but especially in a chapters dealing with the themes of celebrity and touring. It was a surprise to discover just how many sources pertinent to British culture of the nineteenth century are held in America. I would certainly encourage others working on this period to explore what material is held in these institutions. This is very easy to do through their online catalogues, which are detailed and easy to use. I certainly plan to return to the US for future research and have already located certain collections that will be pertinent to my planned postdoctoral research. Watch this space! By obertobrookes in Uncategorized on December 18, 2014 .